Since being diagnosed with multiple myeloma in 2013, Tom Brokaw has used his voice to advocate for a cause that’s become deeply personal to him. 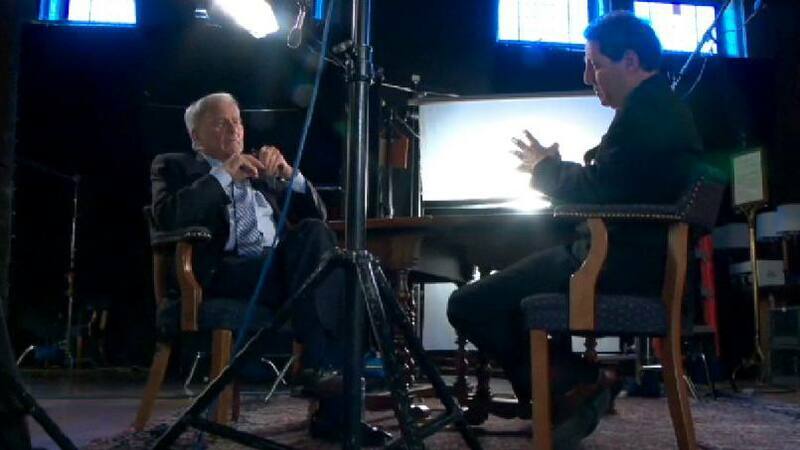 For most of his life, Tom Brokaw has identified himself as a journalist. But in 2013, a diagnosis of multiple myeloma gave him a new identity. He was now also a cancer patient. "That moment — that day — was the rebirth of Tom Brokaw," the veteran NBC newsman recently told the Multiple Myeloma Research Foundation Leadership Circle Summit. As Fortune magazine reports, Brokaw — a Mayo Clinic patient and emeritus member of the Mayo Clinic Board of Trustees — told the group he was "of two different frames of mind" at the moment of his diagnosis. "I was (a) a journalist, and (b) someone who was just told he had a cancer that, in fact, was incurable at that stage." He would go on to combine those two identities, using his voice and his profile to raise awareness and funds for cancer causes. "I had just been told I had a terminal cancer, but it gave me a new life," Brokaw told those assembled. "I felt an obligation as a human being, as a citizen, and as a journalist to share what I was learning about this condition." Brokaw has done that sharing in a variety of ways, including a Dateline special, a book (A Lucky Life Interrupted: A Memoir of Hope), and appearances at events like the one for the Multiple Myeloma Research Foundation. In each, he speaks honestly about the life-changing challenges, as well as the unexpected benefits, of his new identify. "I entered that very vast universe of people with one kind of cancer or another. And the fact of the matter is, it has, in so many ways, made my life much richer," he says. "Cancer gave me a new reason to want to live. And it gave me a new mission as a human being about the relationships that I would develop with other people." "I have also gained an appreciation for the doctors and laboratory technicians who spend their lives in tedious pursuit of a cure," he writes in a New York Times opinion piece. "Cancer-free people are blessed, but they are not always aware of the dedication, compassion and genius of those I've come to know who are daily engaged in the war against this elusive, pernicious enemy." You can watch Brokaw's full presentation at the Multiple Myeloma Research Foundation here. Then earn our appreciation by leaving a comment below before using the handy social media tools atop this page to share this story with others. Read about Mayo Clinic's Department of Hematology.